When you hear the term “industrial absorbents,” you may think of massive factories or plants dealing with major spills and leaks. And while those types of businesses certainly use industrial absorbents to keep their workplaces safe, clean, and prepared, they’re not the only ones who can benefit from the power of industrial absorbents. The efficiency and affordability that make these products such smart choices for industrial applications also make them smart choices on smaller scales, like small businesses, garages, boats, or even your own home. 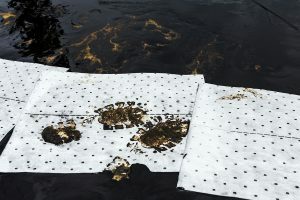 There are plenty of reasons you may need absorbents: Maybe you have equipment that drips oil or fluids, or maybe you work with liquids that would be dangerous or messy if spilled. Perhaps you just do a lot of cleaning and want to spend less on your supplies! Universal — A universal absorbent is designed for general purpose use with a variety of fluids. If you aren’t sure exactly what you’ll need absorbents for, or if you’re mostly using water-based fluids, universal absorbent pillows or universal absorbent pads might be the right choice. Oil only — Oil-only absorbents are exactly what they sound like: These absorbents are specifically designed to safely absorb oil-based fluids. Oil-only absorbents like Abzorb oil mats or oil absorbent pads are especially great for garages. Many of these also repel water-based fluids, making it easy to target important spills and leaks. Hazmat — It might seem like you’re unlikely to have hazardous materials in your home or business, but did you know that even flammable liquids, like rubbing alcohol, paint thinner, and pesticides are considered hazardous? Hazmat absorbents like chemical absorbent socks can help you safely deal with spills of more dangerous natures. Hazardous waste containers keep these fluids and used absorbents under control until you can safely dispose of them. And there’s more to industrial safety products! Maybe an anti-fatigue mat would improve life for those who stand in your garage, kitchen, or at your cash register. A bottle of commercial degreaser could make cleanup easier anywhere, and antibacterial wipes are good additions to homes and workplaces. Ordering industrial absorbents is easy. And if you decide that they’re useful enough to use regularly, you can set up auto-shipment service to make sure you never run out of the absorbents you need — and save on your favorite products. To learn which spill control products are best suited to your life and design your own custom spill kit, contact Angie Meza at angie@absorbentsonline.com or (800) 869-9633. 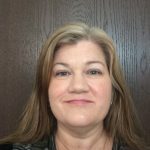 Angie is a partner with Absorbentsonline with over 15 years of experience. "I would be more than happy to help you with your spill containment needs."